Mind meets mouth in these food and drink related adult classes. Hoping to pick up a new hobby, learn a craft, entertain at a higher level or just want to really enjoy the daily dinner you will inevitably make for yourself? 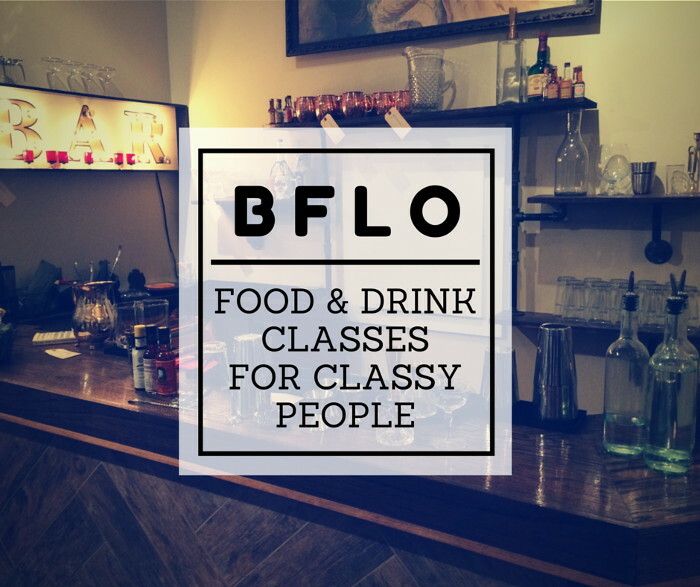 The classes below, including everything from cooking and sushi rolling to cocktail technique and home brewing, will leave you smart and satisfied. Learn the art of cooking while incorporating healthy options and fresh ingredients with featured chefs from local restaurants or chefs from D’Avolio. For around $15 you can take a two hour class and cook with professional chefs, while learning easy to repeat recipes. During the classes, enjoy samples of the evening’s creations. 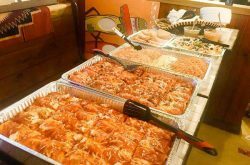 Visit healthyoptionsbuffalo.com/cookingclasses for upcoming class dates. Vera is known for their legendary cocktails. Who better to learn the art of the cocktail from the bartenders that started the craft cocktail scene in Buffalo? Cocktail classes at Vera are generally offered once a month on Sunday evenings at 4pm and 7pm and last a few hours. They usually focus on specific liquor (like gin, etc.). They’ll discuss the history behind the liquor and how it’s made, then make 3 or 4 cocktails with that liquor. After you’re shown how to make them, you’ll get a chance to come behind the bar and craft them yourself. Appetizers will be served with the drinks. Classes cost $50 for just one person, $40 if you sign up with 2 or more, and $25 if you work at a restaurant (please bring proof: need paystub). Call Vera Pizzeria @ (716) 551-6262 for specific class details and get ready to have some fun. Want some real, hands on cooking experience? Try a seasonal or themed cooking class at the Culinary Arts Center. Classes range in price, but are generally around $70-$80. Choose from hands on classes, workshops and demonstrations and work with fresh ingredients, herbs, cheeses, and more while picking up skills you can use at home. It’s likely your mouth will start watering just reading the class descriptions. At the Culinary Arts Center Hands On classes, you’ll work closely with the chef to prepare a full meal using the finest professional appliances, cookware and cutlery. Then, you eat. Personal recipes packets are provided for students to take home. Sign up for an experience at the Culinary Arts Center at culinaryartscenter.org. We have no doubt you’ll impress your significant other, friends or family with what you learn! Queen City Shaken and Stirred, a cocktail utensil and tool shop on Hertel offers classes focusing on a range of topics like bitters or cocktail technique. Queen City Shaken and Stirred classes are usually around $20 per session. Be sure to get there early to check out the shop! After all, you’ll need a vintage cocktail cookbook, some lavender bitters and fun glasses to practice the techniques you learn, right? Check out their Facebook page or call (716) 235-8085 for class dates, times and topics. Williams-Sonoma is known for their top of the line cookware, cookbooks and recipe builders, but there’s even more to the store than what meets the eye. They offer a wealth of culinary events and classes to teach you plenty of useful tips, techniques and give you the opportunity to work with top of the line culinary specialists. Classes at the Galleria store are $50 and include a four course dinner which is prepared and demonstrated right in front of class participants with plenty of interaction involved. William-Sonoma suspends classes during the busier holiday months (Nov & Dec), but picks up again in January with around three classes per month on Wednesday evenings from 6:30 – 8:30pm. Class themes vary from week to week, so call the Walden Galleria store @ (716) 651-0057 for information on upcoming menus and dates. 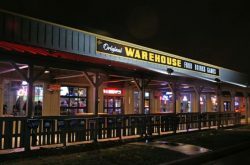 KegWorks brewing classes are just $10 a class. They do about 3-4 classes per month that range from a basic Homebrew 101 to follow up classes on Bottling and Kegging and what to do when fermentation is complete. Classes are generally held at 11am on Saturdays or 6pm on Thursdays. Just when you think it can’t get any better (can’t beat a $10 education), you receive a $10 gift card at the end of the class to purchase goodies from the store. For information on upcoming classes, follow their Facebook page or give them a call @ (716) 929-7570. If you’ve ever wondered about the sushi making process, here’s your chance to get up close and personal. Steak Stone and Sushi occasionally offers classes sushi classes (second Wednesday of the month) for $55 per person or $100 per couple. You’ll learn the learn the basics of knife artistry, rice preparation, various seafood selections, and sushi rolling techniques for at home preparation. 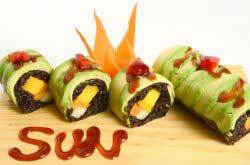 Learn about how to pick and prepare sushi vegetables as well as how to roll different types of sushi. 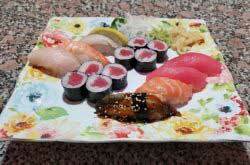 It doesn’t end with education, a Sushi Chef’s point of view and sushi for dinner. Students will enjoy select sparkling sake & Sake pairings throughout the evening, to compliment your evening’s sushi selections. If you’re looking for a unique experience, this is it. Reference their Facebook page for updates on upcoming classes. From time to time, Premier Wine & Spirits offers an in-depth exploration of a wine, cocktail, or spirit theme like Wonderful Wines for Christmas or Ty Ku Sake and Cocktails. The classes go hand-in-hand with a tasting in their in-store Education Center. Register for the classes online. Did we miss a cool class on this list? Let us know by sending an email to info@stepoutbuffalo.com. We appreciate tips.